The best investment for safe and enjoyable motoring for a lifetime. At Inspire we understand how stressful learning to drive can be. We aim to create a fun and comfortable environment to help you succeed. Our instructors are professional, understanding, patient and easy to get along with. 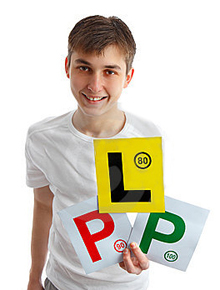 We are based in the Penrith area and provide driving lesson to greater western Sydney. Lessons can also take place at various locations throughout Sydney to get you used to a variety of traffic conditions. We are so confident that you will pass your RMS P licence test first go, that we will pay your next booking fee if you are unsuccessful on the first attempt. We will send you off for your test when both instructor and student are confident and you have completed 10 lessons with Inspire. At Inspire we teach nervous learners to become confident, independent and enjoy driving. Our patient and experienced instructors make learning fun for students of all ages. Becoming a skilled driver brings freedom and independence. Inspiring you on the road to success. Inspire instructors are registered and approved with RMS making learning to drive as easy and effortless as possible. Our knowledge is up to date and we know of all local test routes the RMS inspectors may take you on. We provide thorough driver training which is structured around the needs of each individual learner. We will spend additional time in the areas you may not be as confident in yet. We record your progress and plan a lesson for you, to make sure you are ready for your driving test as soon as possible. We offer door to door service for all lessons to and from home, work, school, college or even the gym. Our driver training encourages safe, confident and courteous driving. Inspire vehicles provide dual control for peace of mind for nervous drivers who may be unsure of their driving ability. Dual controls allow the instructor to assist you when needed. Take advantage of the 1Inspire hour = a 3 hour lesson, each hour with an Inspire qualified instructor will be recorded as 3 hours in your Learner Drivers Log Book. This was introduced by the RMS to encourage learner drivers to practice with professional instructors. Meaning 10 hours of lessons with Inspire will be recorded as 30 hours in your Learner Drivers Log Book. You need to log 120 hours and 20 hours of that is night driving, before you are eligible to attempt the RMS driver Ability Road Test. Over 25’s do not have to complete the 120 hours. Inspire qualified instructor will display, their licence in the vehicle so you can be assured they are fully qualified. We also believe it's important to have an understanding of basic car maintenance. We will show you under the bonnet of the vehicle where you will learn to check radiator fluid levels, windscreen wiper water, check engine and transmission oil. All students welcome including overseas licence conversions, we offer a trial assessment report provided to you by your instructor before attempting your driving test. At inspire we do a mock test to prepare you for the real RMS driving test, then assess the areas that require practice improvement.